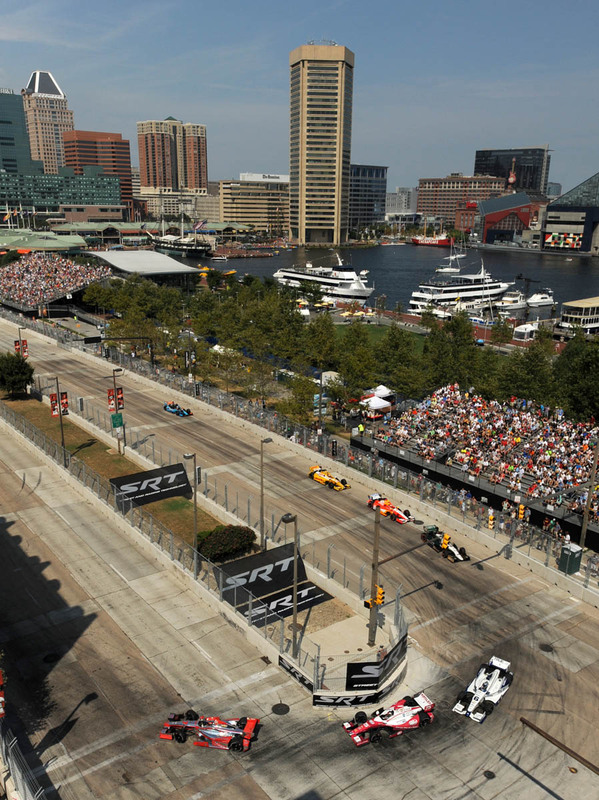 Over Labor Day weekend, Charm City was transformed into a racetrack for the 2013 Grand Prix of Baltimore. Here are some fantastic shots of what the town looks like when Indy cars are racing through her. Thanks to Baltimore Sun for the photos. Cars whip around turn 3 against the backdrop of a sunny Inner Harbor.